Endoscopic Carpal tunnel syndrome surgery uses a thin tube with a camera attached 2.9mm endoscope. The autoclavable endoscope is guided through a small incision in the wrist. The endoscope lets the doctor see finest structures in the wrist, such as the transverse carpal ligament, without opening the entire area with a large incision. The cutting tools used in endoscopic surgery are very small. The big advantage of the single incision endoscopic technique is to avoid an unnecessary incision on the palmar surface of the hand. By avoiding an open incision extending from the wrist to the palm, this minimal invasive Endoscopic Surgery is a single-port procedure that reduces post-operative pain substantially. As in many other disciplines, this endoscopic procedure is highly effective and has been used for nearly 30 years. A lot of studies have attempted to compare different surgical treatments for carpal tunnel syndrome. Although the many benefits of endoscopic carpal tunnel release have been discussed, the topic of economy was mostly in the focus and was often the decisive factor. The additional invest for equipment for Endoscopic Carpal Tunnel Release may result in a higher cost but performing the procedure as a minor procedure, without the needs of an operating room and without the need of an anesthesiologist (local anesthesia only) will decrease the total cost of the procedure. We now offer the endoscope in direct sales. The endoscope fits into existing monoportal systems for Endoscopic Carpal Tunnel Release. Feel free to contact us. 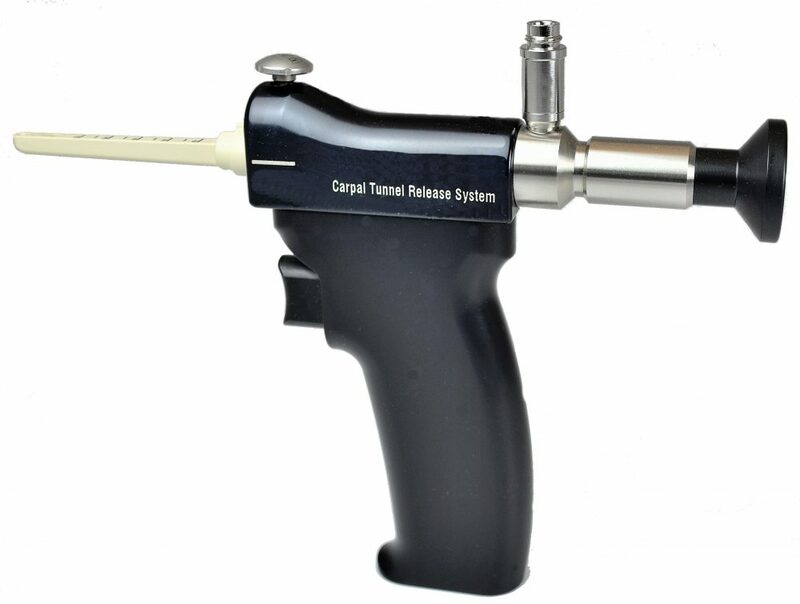 We are happy to make you a favorable offer for an CTS-endoscope. There is also the possibility that we repair your defective CTS endoscope at a reasonable price. In addition to the repair services, the product portfolio of Endodoctor includes rigid, flexible endoscopes and instruments for the entire spectrum of human and veterinary medicine.